Franklin Theatre - Ed Asner: GOD HELP US! Ed Asner: GOD HELP US! Left vs. Right! Conservative vs. Liberal! Red Vs. Blue! Maybe only the Lord can bring us together in this hilarious and insightful entertainment, where the debate gets hot and the passion gets hotter. 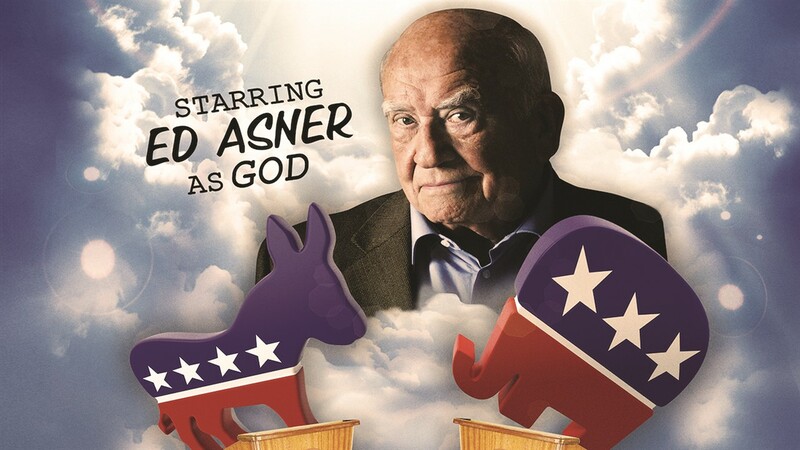 GOD - legendary actor, Ed Asner - is a wise, cantankerous and wildly funny deity who confronts two political pundits with a romantic history: Lawrence (a liberal lad) and Leslie (a conservative gal). He is not at all pleased with our politics or what we’ve done to his Creation. GOD HELP US! speaks to audiences of all political persuasions with one essential argument: that we have to listen to each other so that we can all live - and laugh - together.